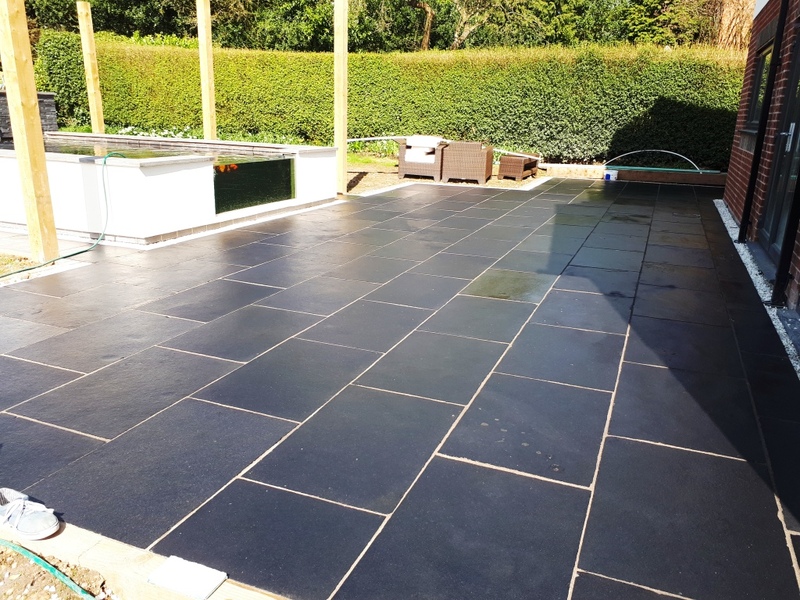 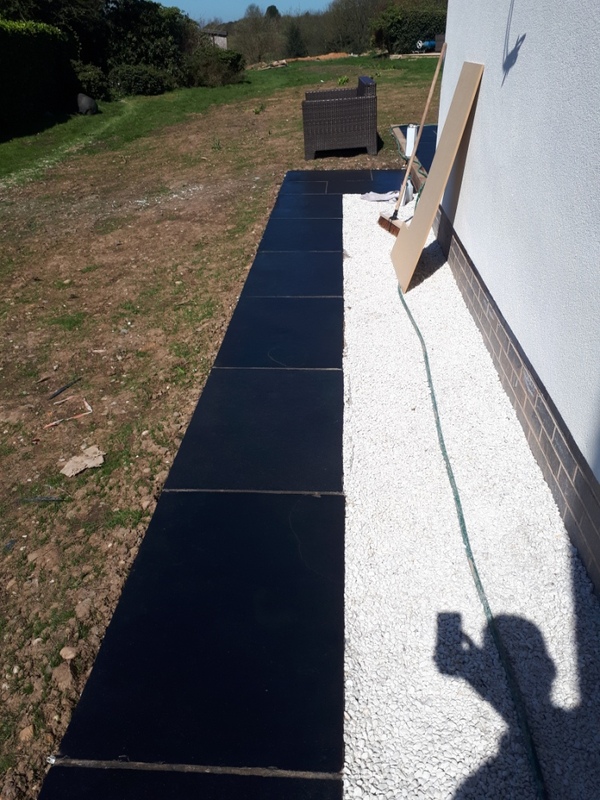 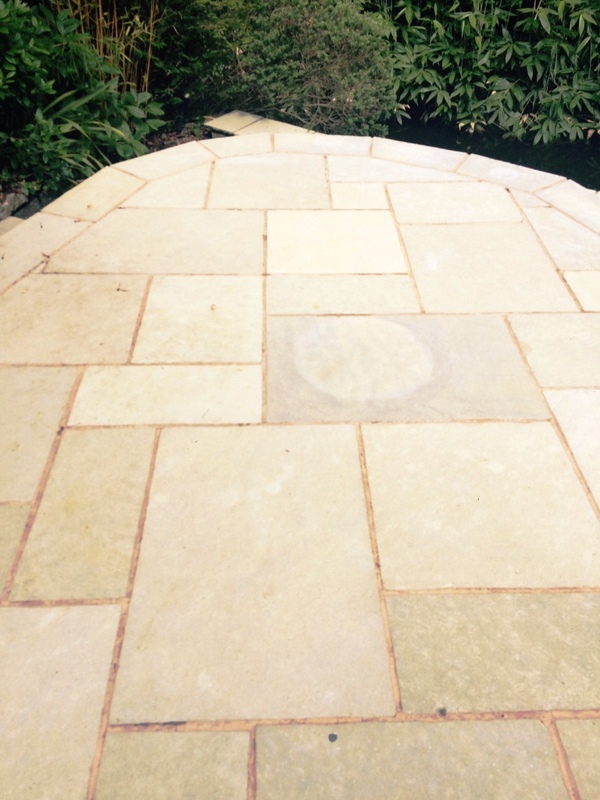 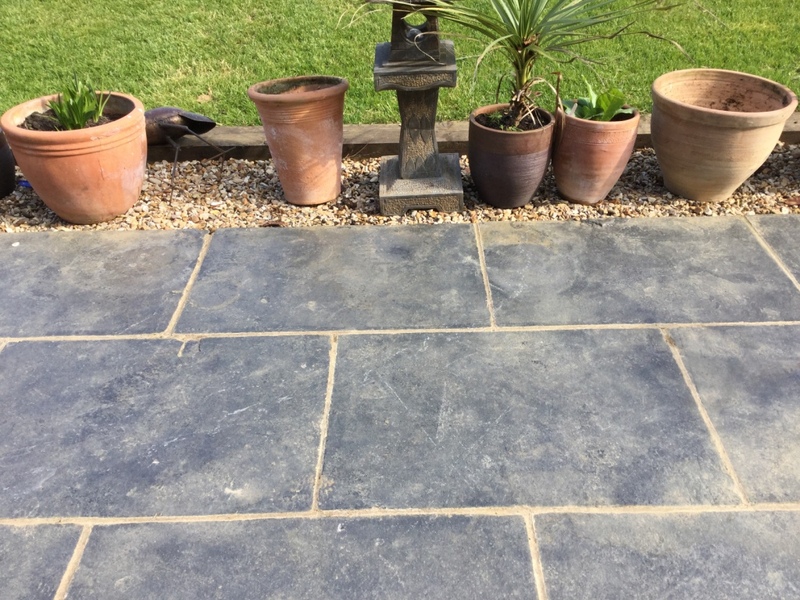 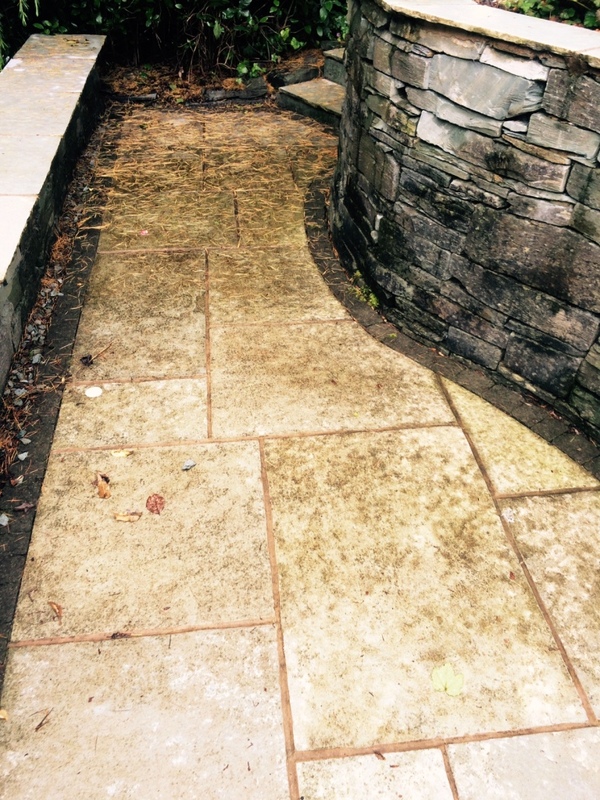 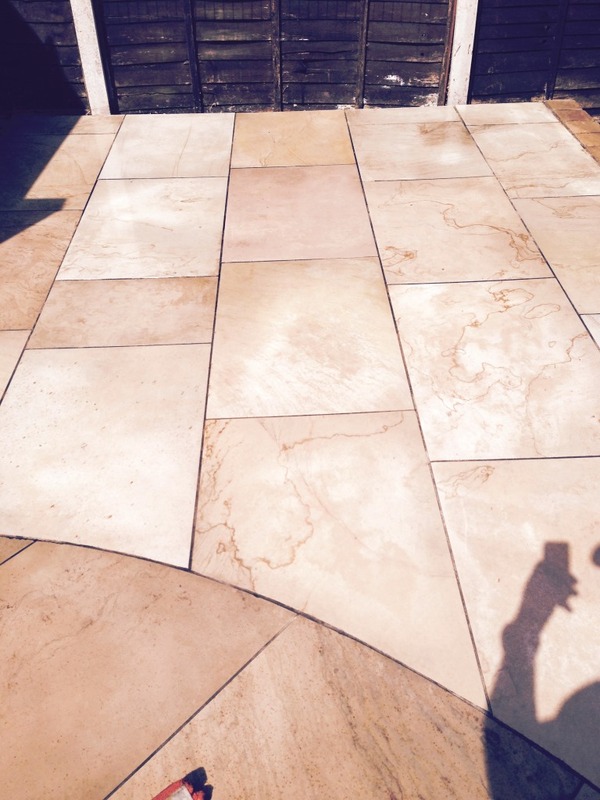 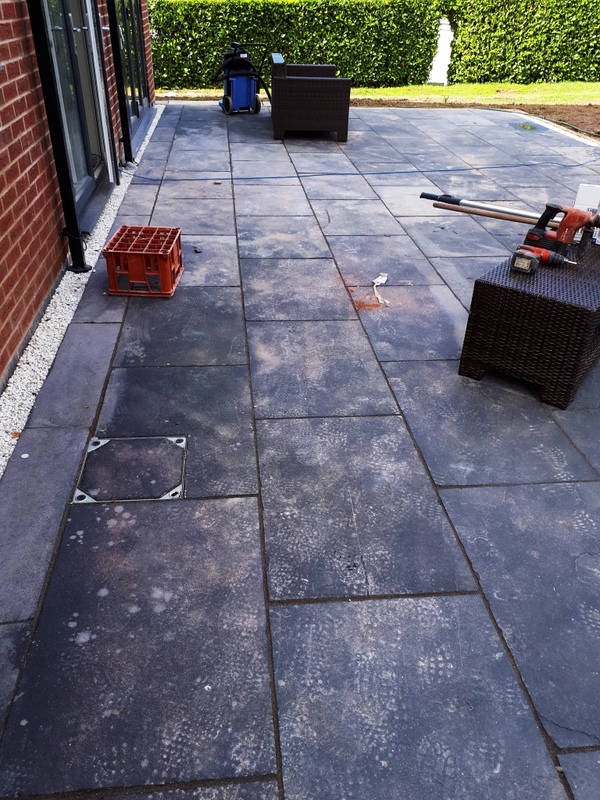 This beautiful Limestone patio had been installed in the back garden of a house in Nuneaton and then covered with some form of acrylic coating to protect it. 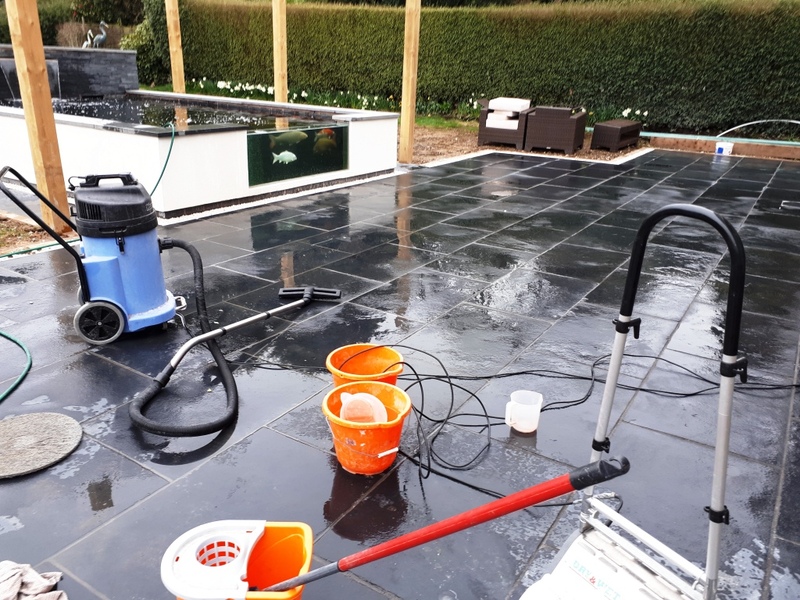 Unfortunately the coating wasn’t able to defend against the ravages of the UK weather and had become loose leaving the Limestone exposed to the elements where it soon became very grimy. 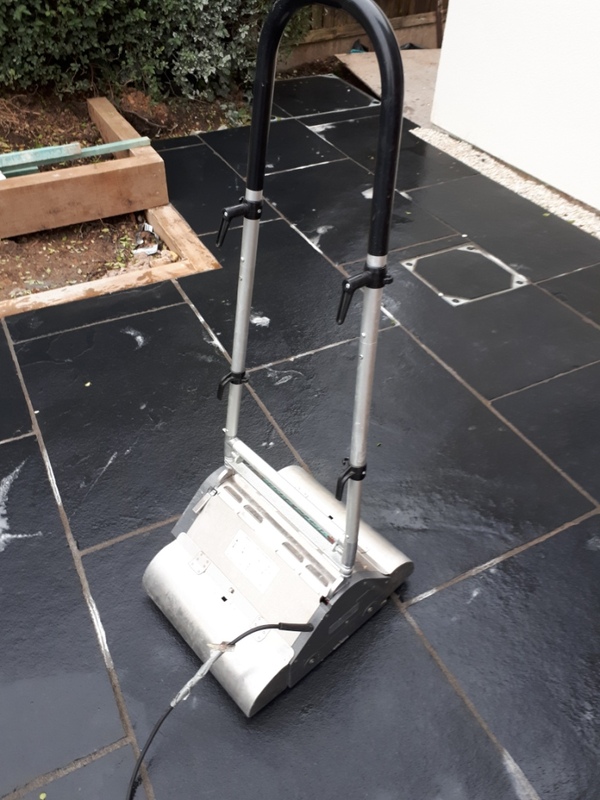 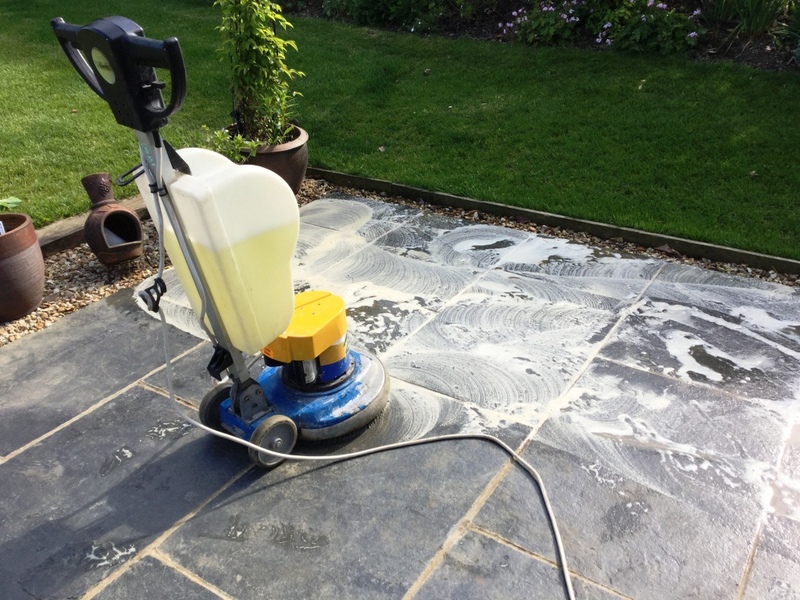 The acrylic coating had to be removed which was done using a combination of manual scraping using a fine blade and then with a 1:4 dilution of Tile Doctor Pro-Clean was mopped onto the tiles and left for ten minutes to dwell before being scrubbed with a buffing machine fitted with a black pad. 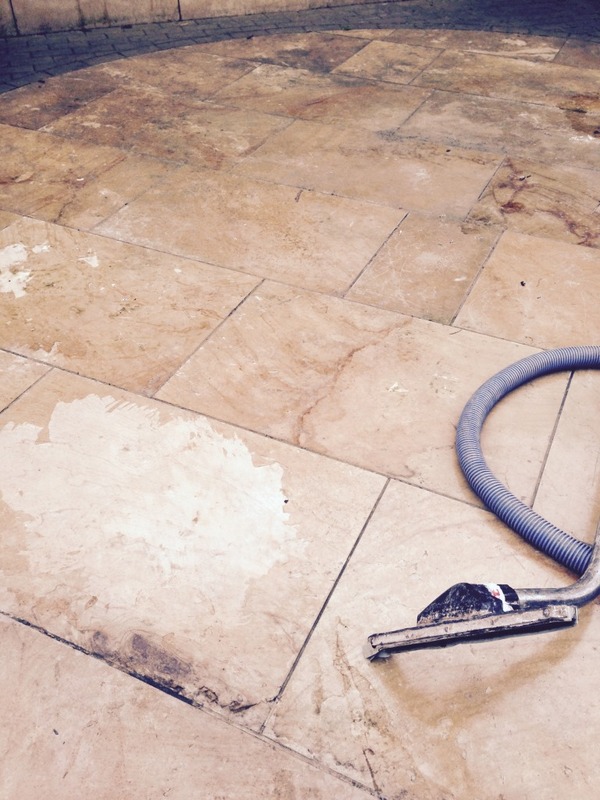 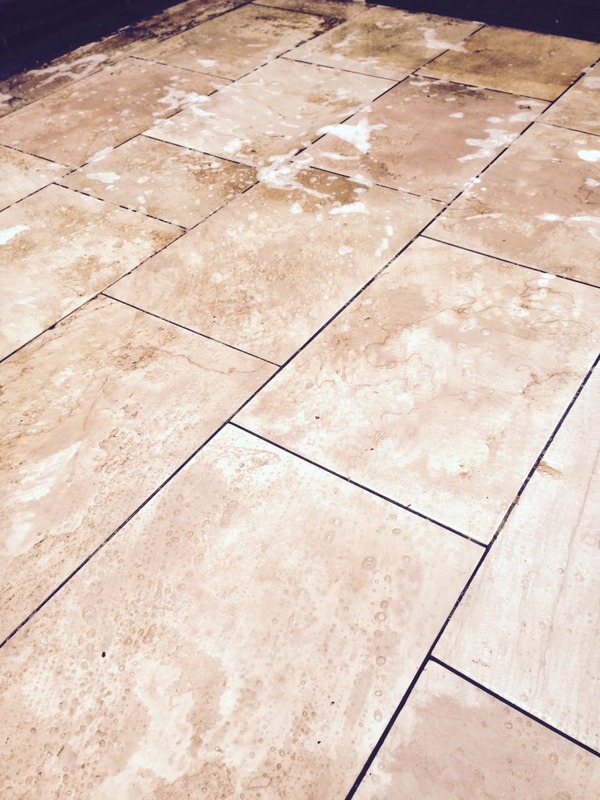 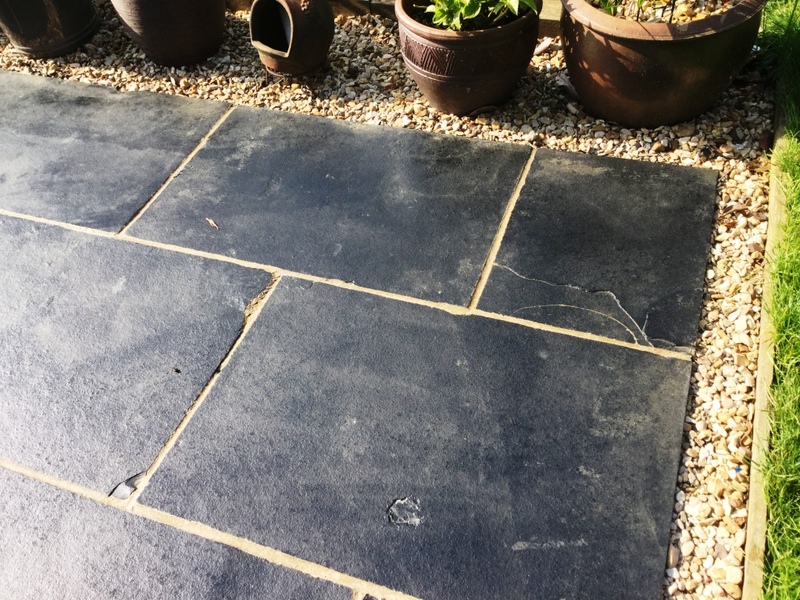 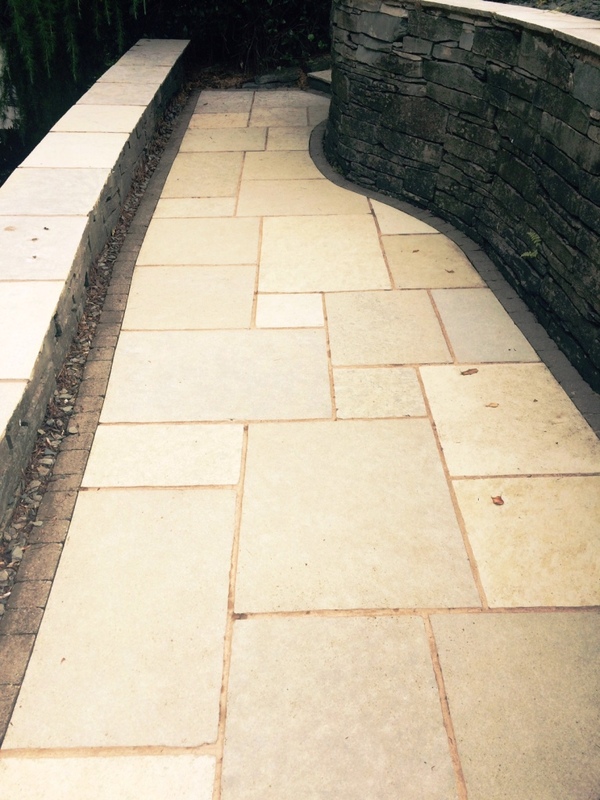 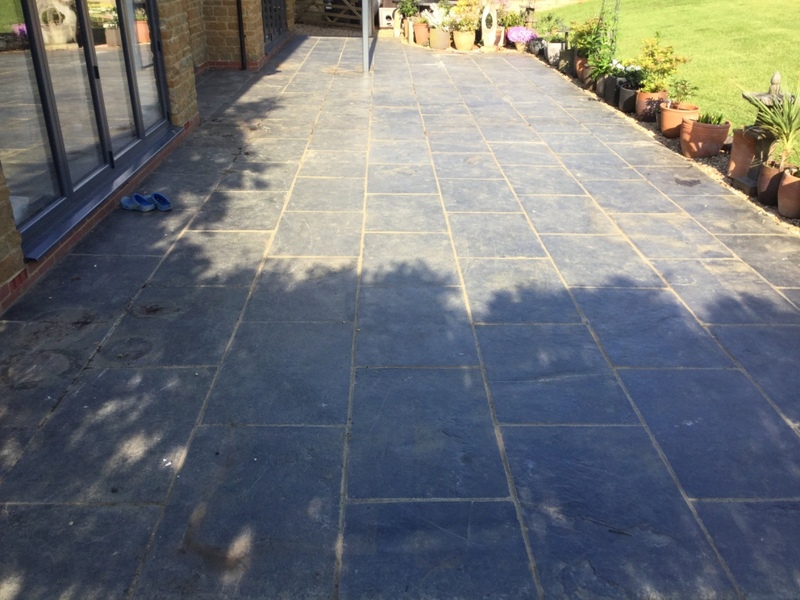 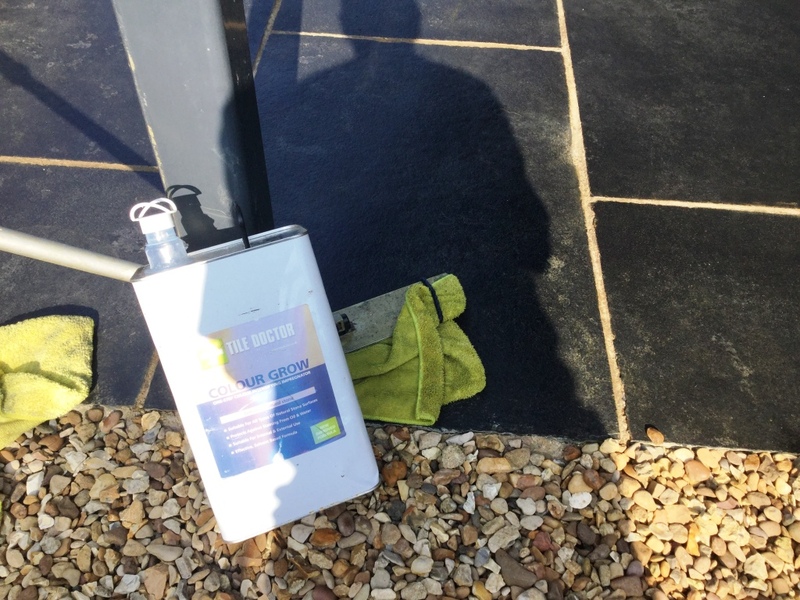 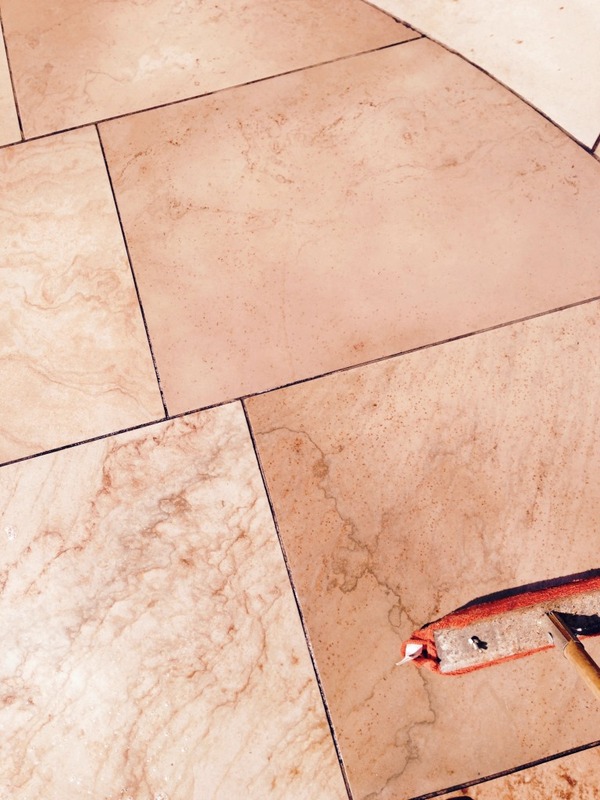 This process brought out the dirt that had become ingrained into the stone, there were some stubborn areas and these were treated with Tile Doctor Remove and Gof which is a stronger product. 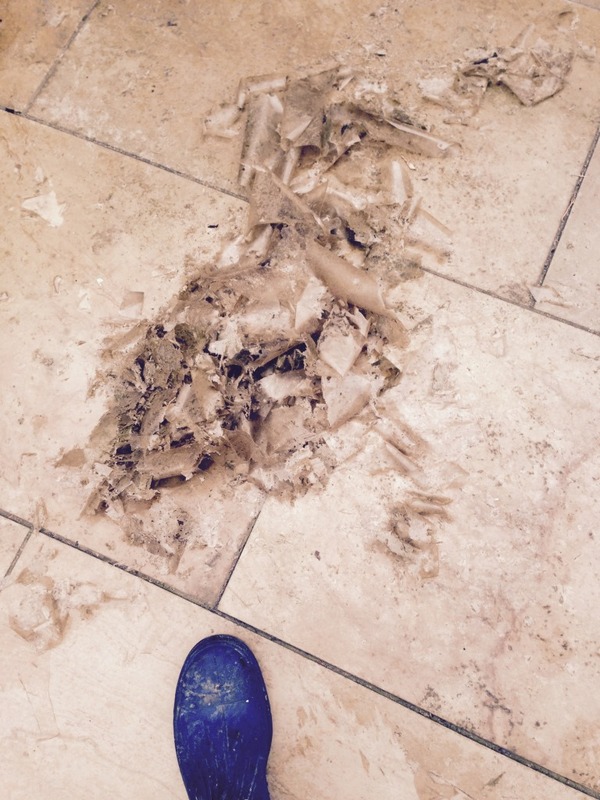 The resultant slurry was removed using a wet vacuum and the patio left to dry overnight. 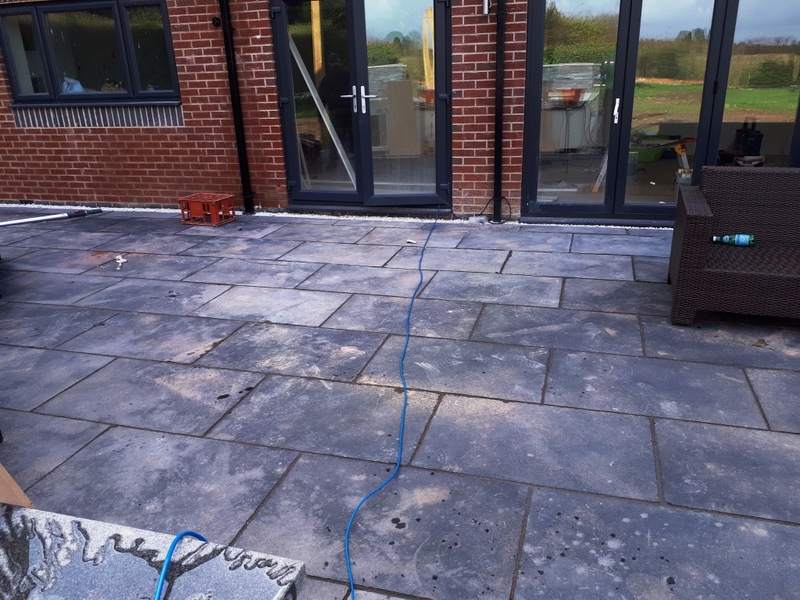 I came back the second day to seal the patio checking first that it was suitably dry. 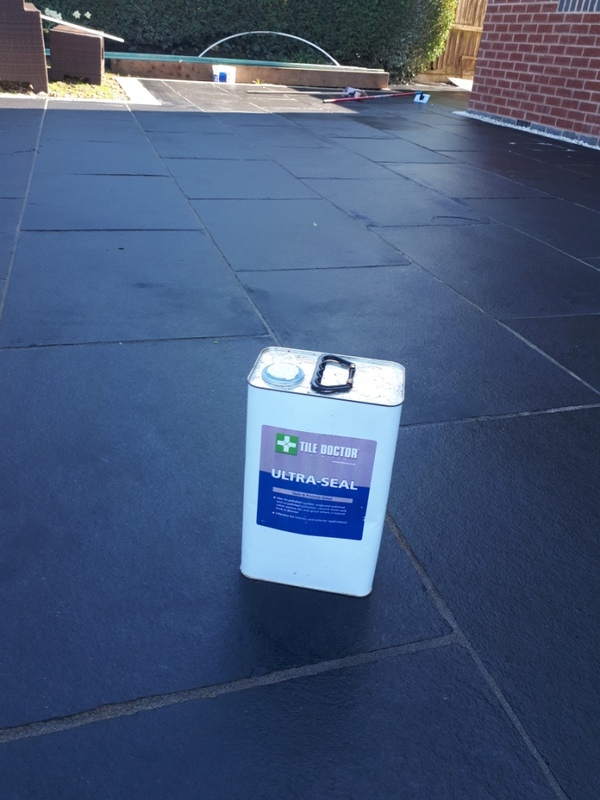 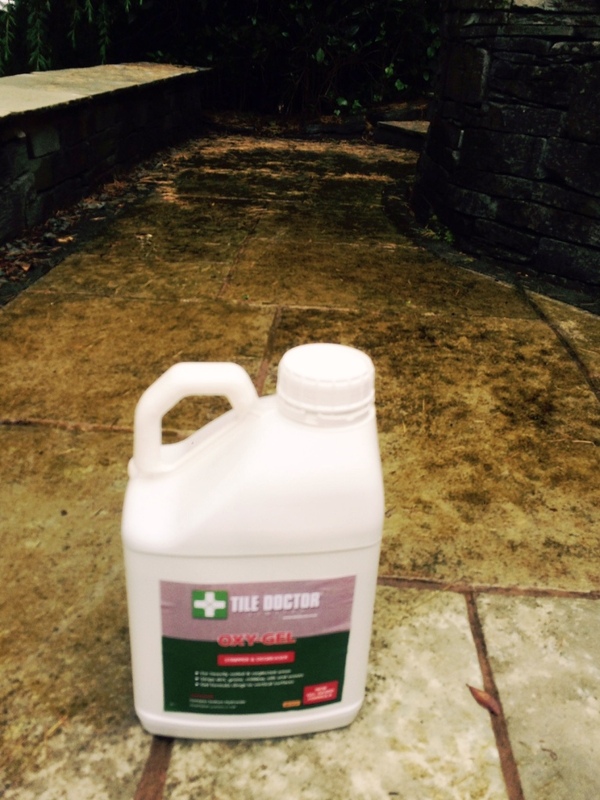 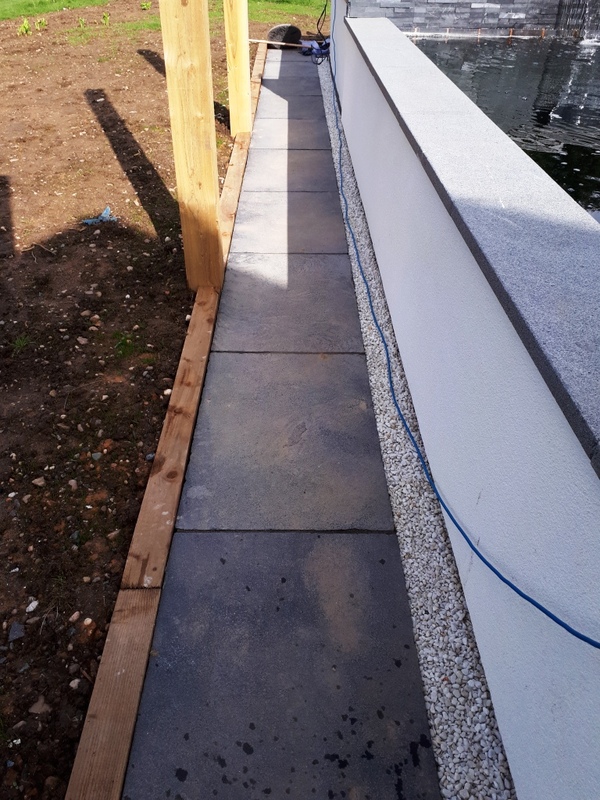 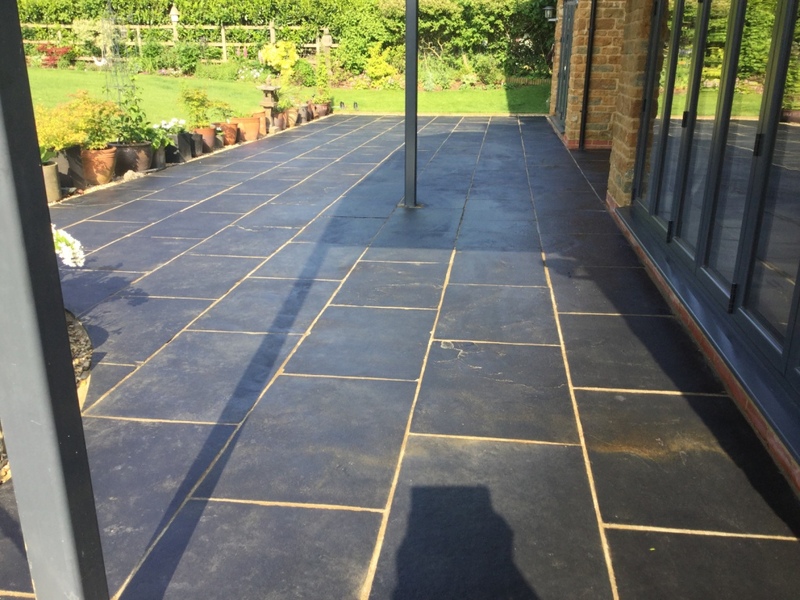 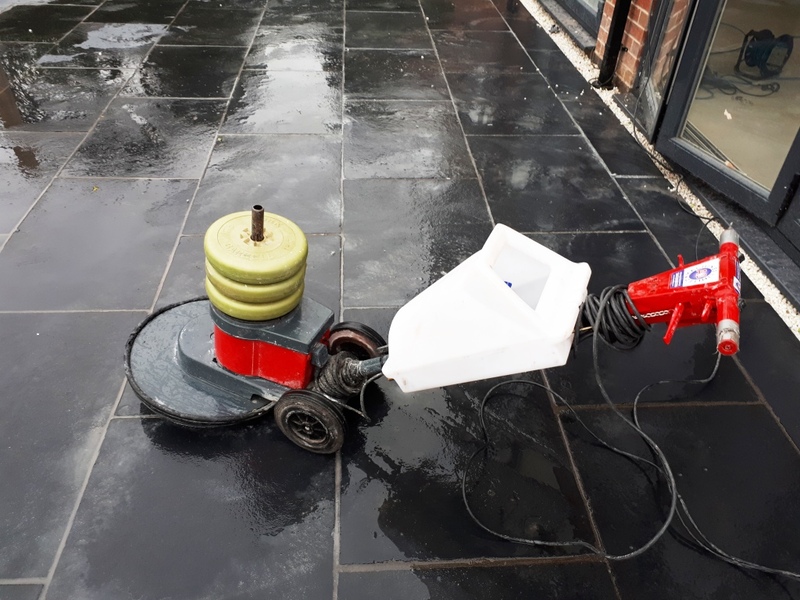 Two coats of Tile Doctor Colour Grow were applied which is a colour enhancing impregnating sealer that can be used internally and externally, it works really on Limestone and did well to bring out the natural colours in the stone.